Today’s recipe is about ceviche, a seafood dish widely popular in the Pacific coastal towns of Mexico. 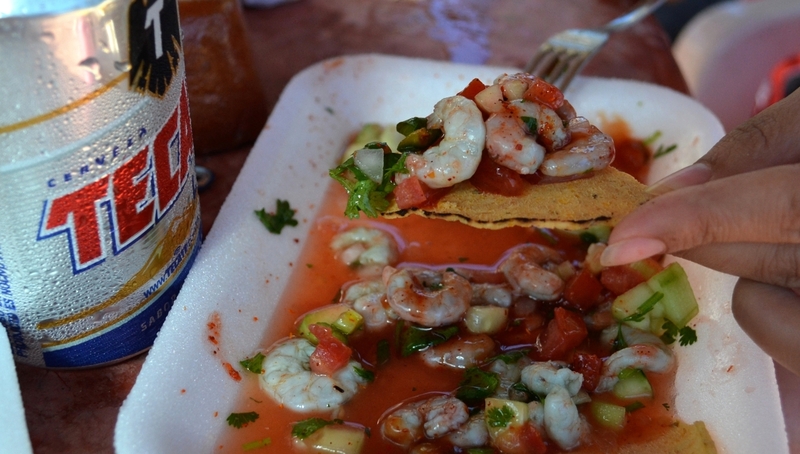 Despite not being a native Mexican dish, it ended up having recipes in here, making it very different from any other preparation made in the American continent: octopus, squid, tuna, and mackerel are the choices for the Mexican ceviche, and in Sinaloa, where shrimp is king, “Ceviche de Sinaloa” is prepared with shrimps, of course. Really simple: just put the shrimps (or the fresh fish) to marinate in citrus juices; generally it will be lime, but lemon can be used too, while bitter orange was the original recipe option. While the acid is doing its job, add chopped onions, salt, coriander, chili, slices of avocado, cucumber, parsley and serrano pepper. Tomatoes are often added, too, maybe mango dices. However, these last two never go together. All the ingredients should rest for a while because despite the marination time is pretty fast, we want let the flavors seep in. After a while, drain the excess of liquid, and it is ready to serve! Ceviche can be eaten almost immediately after preparation, so it is important to prepare the dish with fresh seafood to minimize health risks. 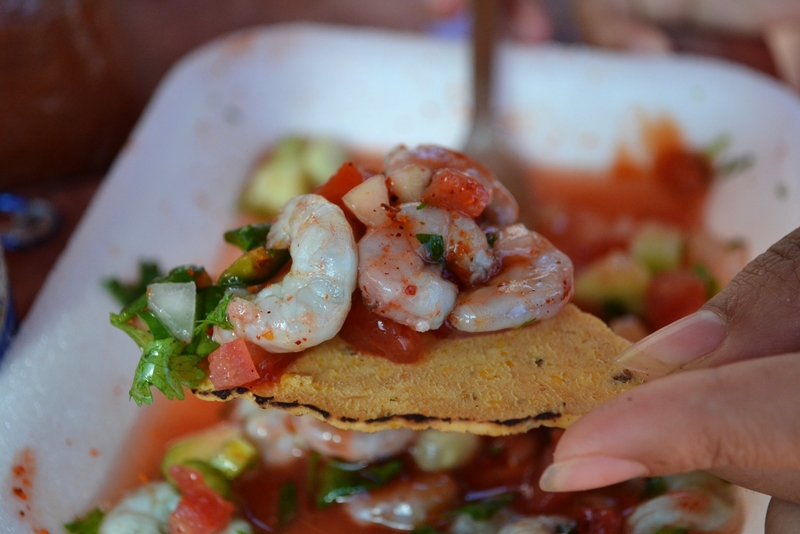 To eat ceviche, you use either a tostada or a totopo as a cutlery instead of spoons or forks. Totopo is the name given in Mexico to the fried or toasted tortilla slices (triangular shape) until they get a crunchy texture. Tostadas are the same, but not sliced, so they keep the name (tostada=toasted). Totopos and tostadas are supposed to be made (originally) from tortillas that are not fresh and tender enough to eat like a taco, but are still edible, the day after tortillas: not fresh, still not hard as a rock. If you slice and fry it, you’ll have totopos (4 for each tortilla). If you fry the entire tortilla, you’ll end up having… tostadas. Just mention that in Mexico, ceviche can be a main dish or have it as a snack, but always better with prepared cold beers!